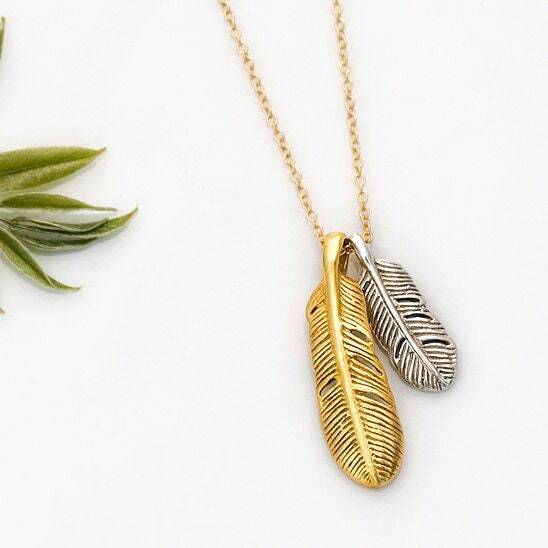 This listing is for (1) ONE necklaces with (2) TWO feathers. 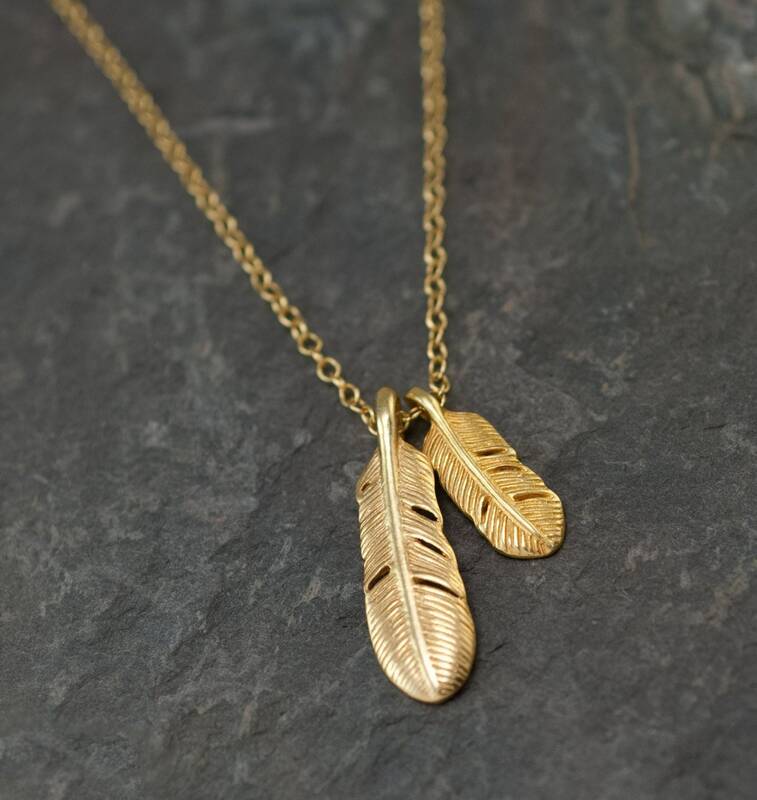 Wear on its own or pair with any of your favorite necklaces. - Chain and all components are 14k gold filled or Sterling Silver. 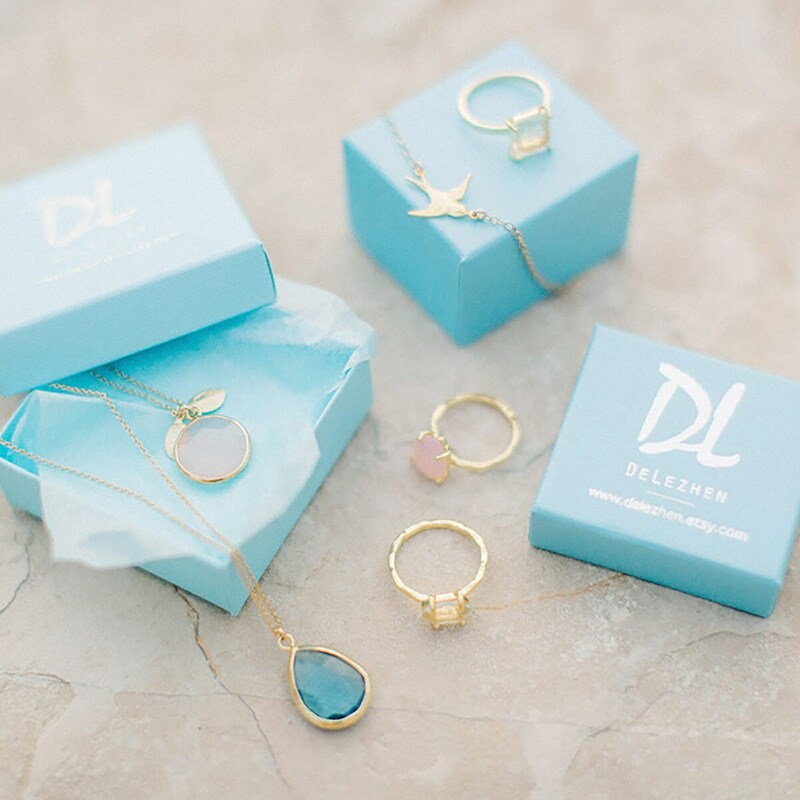 - Necklace will be shipped in a Delezhen branded gift box. This is just the layering necklace I needed! 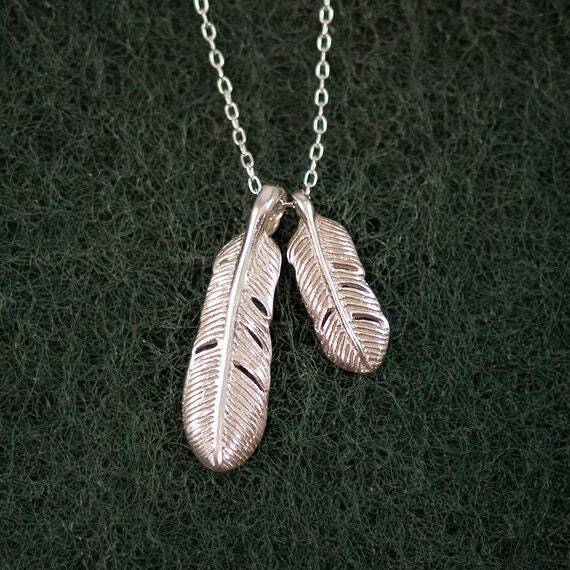 Cute little necklace of good quality. Very fast shipping.